You'll love teaming up with The Powerpuff Girls. With them, everything is sugar, spice and everything nice! Discover how this amazing team of teenage superheroes come together as they stumble upon the Multiverse where they encounter new adventures and friends along the way. 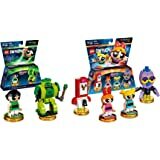 LEGO Dimensions Powerpuff Girls Fun Pack and Teen Titans Go! 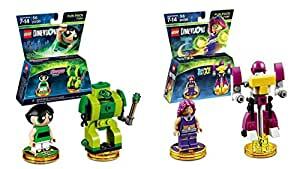 Fun Pack 2 Box Bundle is perfect for any Lego Dimensions fan.